Jenny's blog is one I've probably been dipping in and out of since the beginning. She's a Glasgow local with lots of energy and a casual look that is miles from my own over-dressing granny chic. But I like to check out different things and she makes me crave a Converse. I also relate to her body confidence and bra woes, as a fellow large cup/ tiny backsize girl. It is a struggle. Aside from the style, I enjoy her candid diary entries and her instagram is super cute. Worth checking out for yourself. You can also tweet her or check out her instagram for her latest travels. Ruth of Urbanity has featured in our 'also lovin' section quite a few times. It was pretty much inevitable that she become a full on blog crush at some point. And her blog is certainly worth crushing on. With a focus on sustainability and shopping local, what Ruth writes about is just up my street. 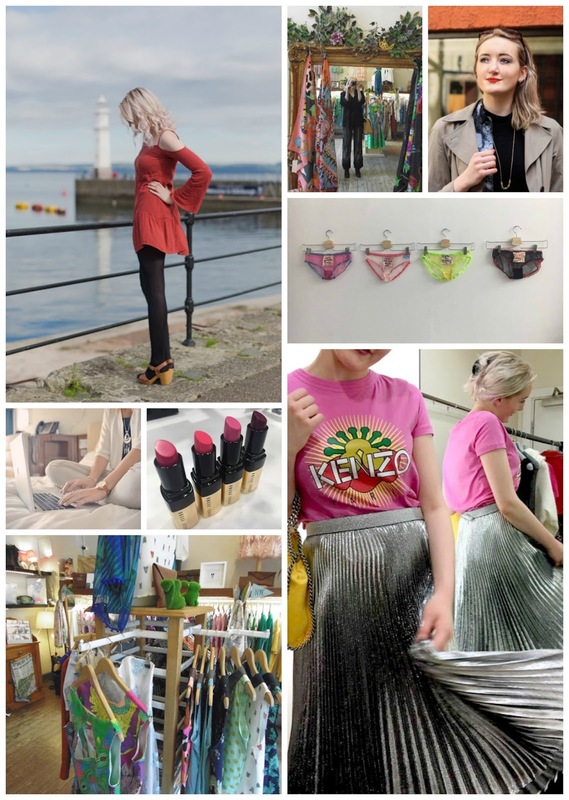 When it comes to new Scottish designers she is is very much in the know and she has all the gossip on the best pop ups and local foodie hot spots. 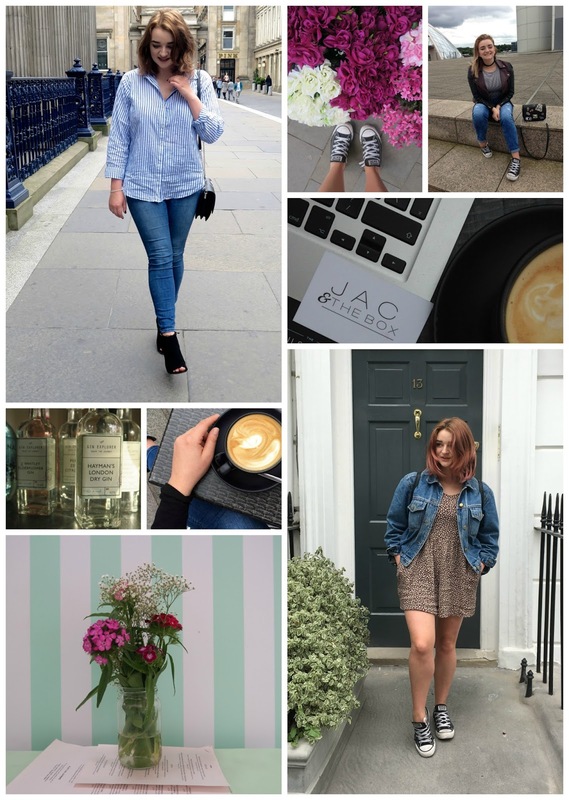 As well as fashion news, Ruth also shares more personal posts about mental health and well being. Basically she's an all round good egg with some awesome personal style so make sure to check her out. Catch up with Ruth on Instagram and Twitter too. Flawless Nora Finds is on point in an unreal red and white striped retro look. My Veggie Travels has the best vegan/ vegetarian eateries in Edinburgh. The Little Things is making supermarket chic with the cutest faux fur for Autumn. Cattitude & Co is talking all things menstrual to empower women and girls to be #periodpositive. 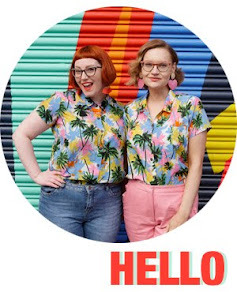 A post about the state of blogging by Aye Lined has given us given many food for though. We don't even consider these kind of things... so naive! I just realised I never commented on this! Thank you again so much for including me! Also I went and bought two new pairs of converse after this! !